Hi there! 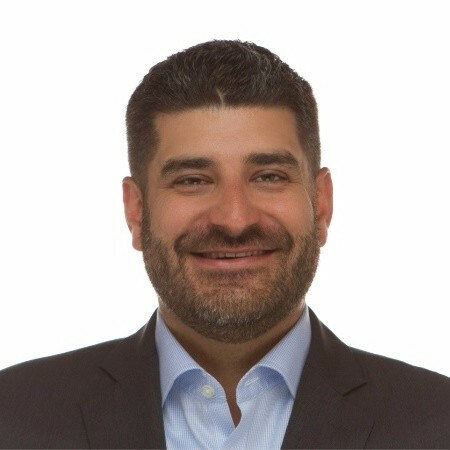 My name is Anthony Kros (but my friends call me Tony) and I am the Analyst Relations (AR) Manager for Barracuda. I wanted to introduce myself and the role of AR Manager, and discuss why the AR function is so important to a technology vendor such as Barracuda Networks. Let's start with some background on me. Prior to joining Barracuda, I was a research analyst at Gartner, one of the top IT market research and advisory companies. I started my 15-year career covering the Client Platform market, which included desktop and laptop computers, before moving into my role as the Program Manager for the Workstation Quarterly Market Share program and then, ultimately, the External Storage System Market Share, where I took a quantitative view of the vendors within the respective markets and how they performed on a quarterly basis. Because of this “high touch” aspect, I was in regular contact with all major vendors in the space and would regularly conduct product briefings, business updates and phone calls to keep updated on the latest trends and products. This was in addition to the primary research I was doing on my own to give myself a well-rounded view of the technology and vendor landscapes. Now that I’m “on the other side of the table”, I have the rare opportunity to interact with folks that do exactly I used to do at Gartner! This gives me unique insight into how they do their jobs so that I can best help them with any requests or questions they might have. In addition, I serve as the liaison between different teams within Barracuda – product and corporate marketing, finance, corporate communications and more – to help with any internal requests they might have for information, data, or to schedule a conversation with an analyst. You might think this sounds a lot like Public Relations. While they are related, they serve two very different functions. PR serves to focus on public-facing audiences, including media outlets and bloggers, to help with the positioning and building of a company's brand. By raising awareness, PR even serves as a sales tool, by promoting the company and its offerings via secured media coverage. AR can (and usually does) do similar motions for the analyst community audience, but it’s not a best practice to assume that PR and AR are the same functions. How does Analyst Relations help you? For technology vendors, the analyst community can help with positioning/GTM initiatives and marketing/branding campaigns. Through various events, the analyst community also serves to bring end users and technology vendors together so they can build relationships and better understand each other. I’m really looking forward to sharing more about the analyst relations role, covering reports like Magic Quadrants and Waves (if you’re asking, “What are those”, stay tuned), and answering any questions you might have about myself, AR, or Barracuda Networks. You can find all of my posts on my blog, ‘Analyst Relations Corner,' and you can follow the RSS feed here. If you’d like to network with me, you can connect with me on LinkedIn here. Anthony (Tony) Kros is the Analyst Relations Manager for Barracuda. Connect with him on LinkedIn here.